Offering off-the-beaten-track cruising at its most spectacular with outstanding snorkelling, diving and ﬁshing opportunities in an untouched natural environment of extraordinary beauty. The Reef teems with life. 30 species of whales, dolphins and porpoises have been recorded and six species of sea turtles come here to breed. Over 1,500 ﬁsh species live on the Reef, which is inhabited by 400 varieties of coral. A recommended anchorage is Pixie’s Pinnacle, renowned for its vibrant coloured marine life and exceptional visibility. Lunch at anchor in Dynamite Pass and an afternoon spent snorkelling at Cod Hole, which is world-famous for its large numbers of huge Potato Cod, is a fabulous experience. On the mainland you can hike the Daintree Rainforest or visit wildlife parks featuring Australian icons such as koalas, kangaroos, wallabies and crocodiles. 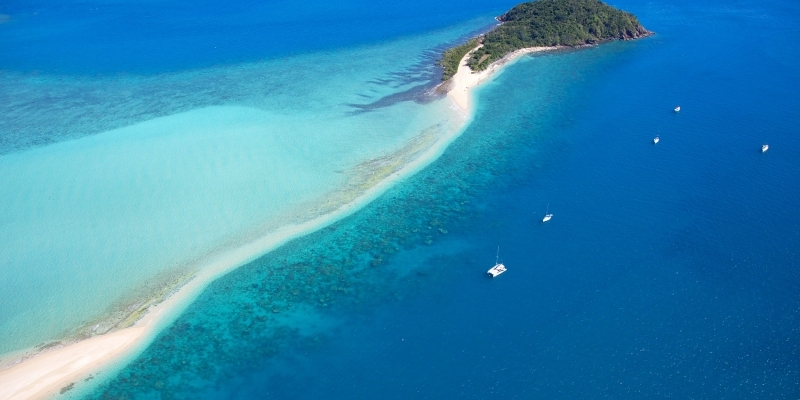 Australia and the Great Barrier Reef is definitely a new exciting luxury yacht charter destination. 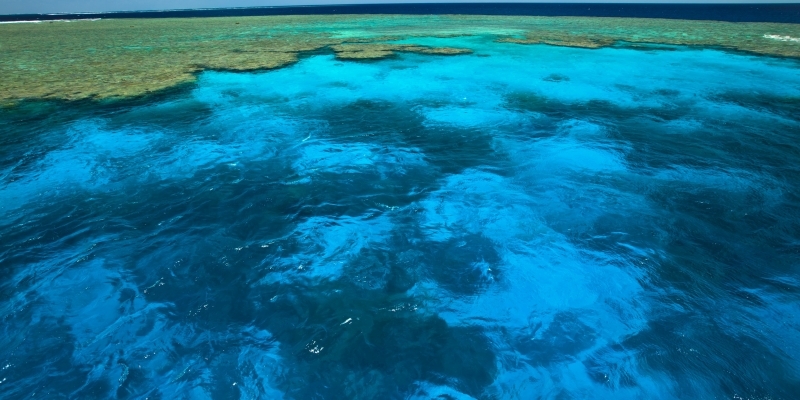 Offering off-the-beaten-track exploration at its most spectacular, with outstanding snorkelling, diving and ﬁshing opportunities, all in an untouched natural environment of extraordinary beauty – the Great Barrier Reef is a true natural wonder of world. The reef is teeming with life – 30 species of whales, dolphins and porpoises have been recorded and six species of sea turtles come here to breed. Over 1,500 ﬁsh species live on the Reef, which is inhabited by 400 varieties of coral. It’s an explosion of living and breathing colours. Chartering a yacht in Australia and The Great Barrier Reef is one of the most exclusive and impressive journeys one can take in this kind of luxury holiday setting. Combining stunning nature with cosmopolitan living, this is where you can discover a side to Australia that you might never have known existed. Chartering a yacht in Australia encourages you step away from the standard tourist areas and discover how truly spectacular and diverse this ecosystem really is. Anything you may have seen on TV tells you only part of the story, seeing Australia is a different prospect all together, especially when explored from the coastline. What to see on a trip to Australia? Chartering a yacht to the South Pacific gives you the opportunity to see some of Australia’s greatest treasures in the natural world. From the cosmopolitan city of Cairns, to the ancient rainforest at Cape Tribulation, to seren waters of Double Island, you’ll be astounded by both the natural beauty, exclusive dining and vibrant nightlife on offer. 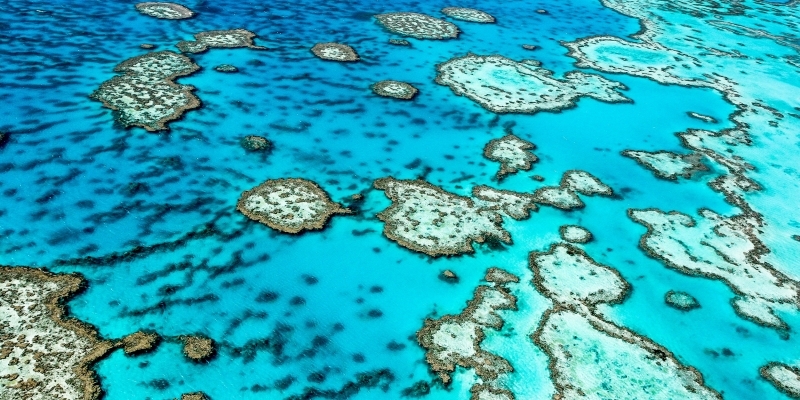 If scuba diving is on your list, then Australia’s Great Barrier Reef is a natural choice. Recognised as one of the world’s finest areas for underwater exploration, this wonder of the oceans is home to a myriad of individual reef systems stretching over 2,300 kilometres and hosting a kaleidoscope of aquatic life. If you begin your Australian Odyssey in Cairns, you’ll be amazed that what was once known as a marshy reef is now perhaps best considered one of the highlights in the Southern hemisphere for the rainforest meeting the modern city. Awash with bars, clubs, eateries, this is a city that has always had one eye on the environment and the natural wonders that surround it and make it a truly unique destination. This is a city that cares about its people, surroundings and tourists, and looks after the locals and visitors with great food and sites to see and remember. 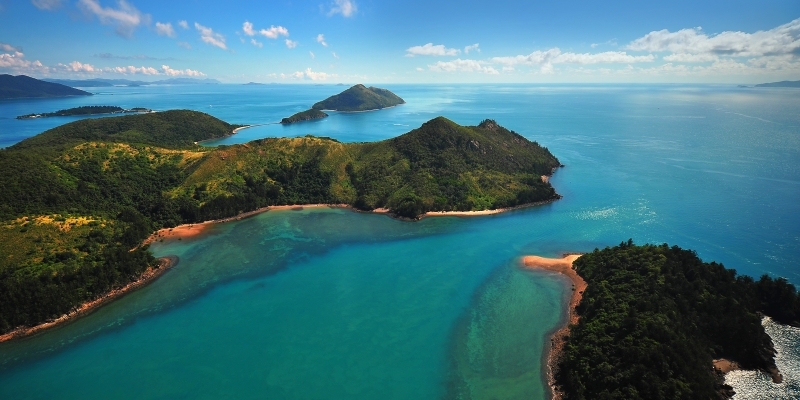 Sail up the coast to Cape Tribulation, one of the world’s oldest rainforests, and you can escape from the humidity by taking a short trip across to the Great Barrier Reef, exploring spots like, Low Isles, Opal Reef and Ribbon Reef. These are the very spots where the explorer in you can discover what the reef is about, why nature and the unique eco-system play their unique part in all of what makes this part of the world special. 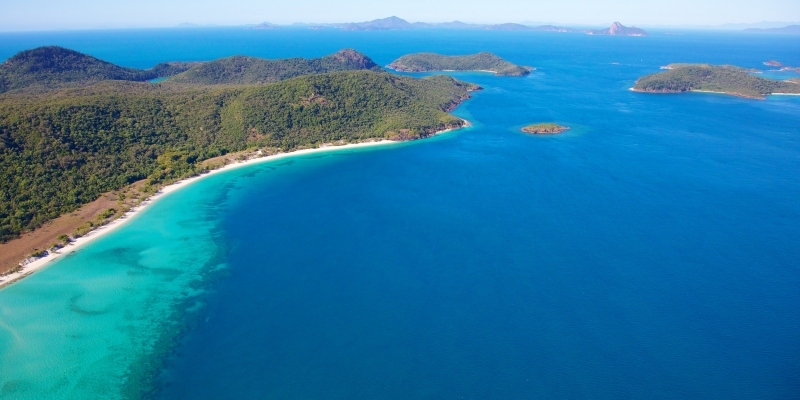 Lizard Island is another place to add on your must-see list in this wonderful territory. As you can imagine, while the island is awash with lizards, you’ll want to ascend the rocky, mountainous terrain, which itself is awash with exquisite dining and scenery that captures everything that is special about this part of the world. Passing through other significant areas, our journey continues to Stokes Bay, Flinders Group to Princess Charlotte Bay and finally stopping overnight in Cooktown. Named after Captain Cook, this is a small town with a big history. For thousands of years, Waymbuurr was the place the local Guugu Yimithirr and Kuku Yalanji people used as a meeting ground, this is now a destination to see wildlife at its fullest as well as journey into some extreme fishing past times. Then make sure your journey takes you through Escape Reef to Port Douglas to Double Island and settling finally back at cairns. 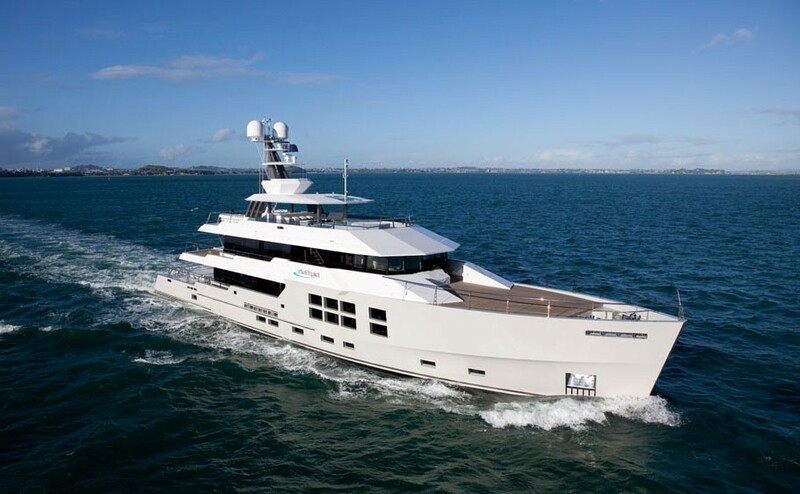 Why charter a yacht in Australia? Whether it is a luxury charter of the Great Barrier Reef or a journey of the seas to take you to see where Captain Cook made a name for his intrepid voyages, chartering a yacht is the only way to experience a real sense of what makes this part of the world so unique. Chartering a yacht in Australia is possibly the only way you can encounter so much tranquillity and be truly amazed what this nation has to offer. 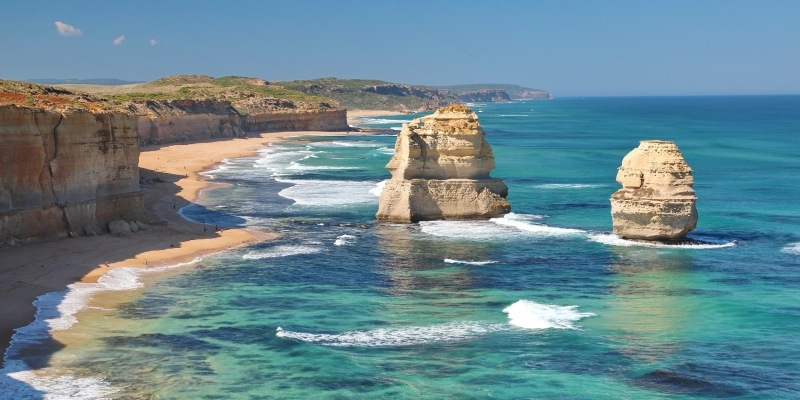 Looking for a luxury yacht holiday in Australia but don’t know much about the country? Here is all the essential information you’ll need to arm yourself with. The high season for this region is between mid June to September whilst the shoulder months include April to May and October to November. The low season includes warm, pleasant temperatures, with long beach days, Fewer crowds, and resort prices come down slightly in December to March. The currency for Australia is the Australian Dollar, and English is spoken throughout the country. You can access most of Australia by both sea and land but, once there, setting sail and exploring by yacht to is the best way to experience everything the area has to offer, and make the holiday your own. Princess Charter offer a variety of yachts for charter along Australia and its islands, ranging from 20 metres to 100 metres in length.